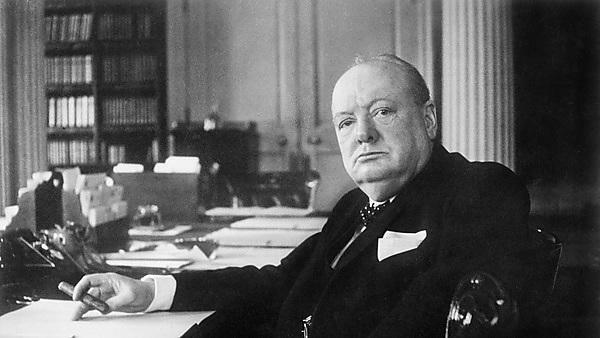 The anniversary of the death of wartime leader Sir Winston Churchill is to be marked with a special event involving the University of Plymouth. On Saturday 9 May, a series of lectures and celebrations will be held at the University, organised by the South West Association of Churchill Fellows. After Churchill’s death in January 1965, there was a huge public outpouring of grief and charitable donations, with half of that money being used to establish a memorial trust bearing his name. Its aim was to enable British citizens to travel abroad, bringing back knowledge and best practice for the benefit of others, and since then hundreds of Churchill Fellowships have enabled people to embark on pioneering journeys across the globe. Now 50 years later, a group of ‘Churchill fellows’ – many of them with strong links to the University – will gather to honour the inspirational figure who guided Britain through the second world war. They will also aim to promote the ethos of the Winston Churchill Memorial Trust, encouraging others to follow in their footsteps and think about applying for life-changing journeys all over the world. One of the organisers of the event is Dr Andrew Eccleston, former lecturer in nautical studies at the University of Plymouth, who was awarded a Churchill Fellowship in 2001 and travelled to Iceland to investigate how the internet – which was then largely in its infancy – might bring people together. He will be joined on the list of speakers by the University of Plymouth's explorer-in-residence Antony Jinman, who was awarded a fellowship in 2009 to travel to Canada for a film project on the Inuit people. He was inspired by his experiences on the trip to found Education through Expeditions, a charity based on the University campus. Others speaking will include Sadie Green, who in 2010 travelled to the USA to investigate the export of Devon pottery in the 17th and 18th centuries, and Ali Williams, a crime scene investigator who has just returned from Australia and New Zealand where she researched innovative practices to reduce burglaries. The event on Saturday 09 May is open to anyone who wants to hearing about Churchill’s lifetime and legacy, and it will take place in the University of Plymouth's Roland Levinsky Building from 14:15.